Located just north of the world-famous IMG Academy, Glen Lakes in Bradenton has been attracting families and retirees since 1995. Quite a few families come from abroad to accompany their young athletes during their IMG enrollment, and many have ended up settling in Glen Lakes, a neighborhood consider to be among the best in Bradenton. Glen Lakes is an expansive community where you can find spacious and elegant single-family residences built in the Mediterranean style of architecture. Even though there are more than 430 homes at Glen Lakes, you will only find a handful listed for sale at any given time; this is a neighborhood where homeowners tend to hold on to their properties for decades. The coziest floor plans in Glen Lakes feature three bedrooms built on more than 1,300 square feet of living space. The most spacious homes offer five bedrooms and up to 4,187 square feet of interior. The homes were developed until 2002 by renowned builder Centex, which means that you can expect extras such as designer kitchens with breakfast bars, covered lanais that connect to the house via French doors, garden tubs, granite counter tops, and large backyards with tropical landscaping. Since there are nearly a dozen lakes and ponds in Glen Lakes, most of the properties have views of the water or nature preserves in this 217-acre neighborhood. A large community park on the shores of the largest lake is perfect for picnics, jogging, fishing, and relaxing; there’s also a tennis court and nature trails. The homes located closer to Cortez Road are within walking distance of a commercial district where you can shop at Publix and Walmart, catch movies at the Regal Cinemas Oakmont 8, and enjoy dinner at the Golden Corral Buffet and Grill. Driving to Downtown Bradenton or to the pristine beaches of Anna Maria Island takes only 15 minutes. 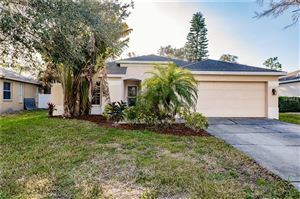 See all Glenn Lakes Bradenton Homes for Sale.